With consumer use of smartphones increasing exponentially over the past few years, nearly 70% of VDP interactions now take place on a mobile device. And with shoppers actively researching and calling into dealerships from their smartphones, understanding the connection between website browsing behavior and inbound call activity is easier than ever before. Insights generated from new call tracking capabilities are helping dealers not only measure inbound calls but also optimize their digital content to drive even more leads. Identifying the source of inbound calls can be accomplished with website tracking event capabilities enabled by Google Analytics (GA) and Google Tag Manager (GTM). By using a combination of these tools, a dealer can identify exactly where a user was on their website when they initiated a call. Call tracking allows dealers to identify the specific pages or online ads that drive the most conversions and leads for their business. GA and GTM provide dealers with measurable data that enables them to pinpoint their best-performing pages, learn which aspects of their website can be improved, and collect valuable shopper information for their BDC. Tracking the source of telephone inquiries from a website enables dealers to identify the landing pages and content that is most compelling for shoppers. It allows dealers to answer questions such as: What prompts consumers to call? Were they on a VDP, a fixed-ops page, or on a contact page? Dealers can use the data they gather to reallocate ad spend to the highest producing content, messages, and media sources. Call tracking can tell dealers a lot about how customers are using their website. If they are calling directly from a VDP, it’s likely because they’re interested in gathering more information on that specific vehicle or want to set up a test drive. If they are calling from a dealers’ contact or about page, it could be that the customer couldn’t find what they were looking for or they have general questions that they’d like to have answered. Call tracking also helps dealers understand the effectiveness of their digital ads. Which ads are generating the most leads? Are they generating at all? How does the performance of their digital ads compare to that of promotional emails? With answers to these questions, marketing efforts can be adjusted for greater impact. 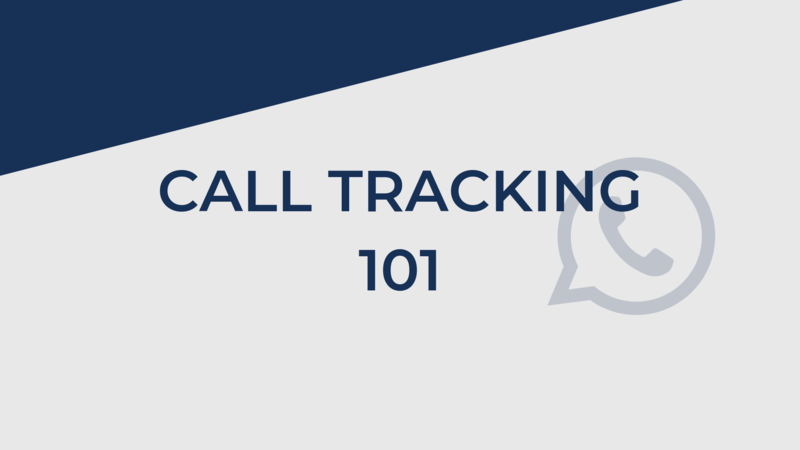 Call tracking is a powerful tool for dealers - enabling them to directly measure marketing efforts and increase sales by validating leads as they come through the mobile phone channel. If you want to learn how your dealership can benefit from the latest call tracking technology, contact us to learn more.